Neurology for the Speech-Language Pathologist presents the fundamentals in understanding the nervous system in the context of communication. The book takes into consideration the nervous anatomic systems, such as sensory pathways. 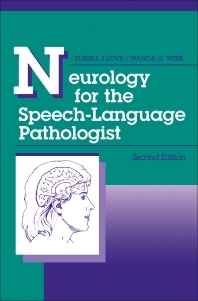 The text first introduces the speech-language neurology, and then proceeds to discussing the organization and neural function of the nervous system. Next, the book relates the nervous anatomic systems to language, speech, and hearing. The text also covers clinical speech syndromes and disorders. The book will be most useful to speech pathologists and therapists. Neurologists and neurosurgeons will also greatly benefit from the text. PhD, Assistant Professor, Department of Hearing and Speech Sciences, School of Medicine, Vanderbilt University, Nashville, Tennessee.